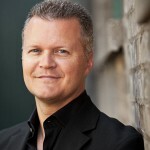 John Miziolek, Founder of Reset Branding, has recently been named as one of America’s PremierExperts® in recognition of his expertise in the field of Strategic Branding. John Miziolek has a proven track record of delivering fully integrated strategic programs and successfully revitalizing and building top tier brands. John believes strongly in the business value of design and its impact on the financial strength of a company. Brand owners from every category, sector and position in the marketplace trust John Miziolek with their business and their brands. America’s PremierExperts® LLC is an organization that honors an exclusive group of celebrity experts who are dedicated to spreading knowledge and awareness in their field of expertise and making significant contributions to their industry and the marketplace as a whole. 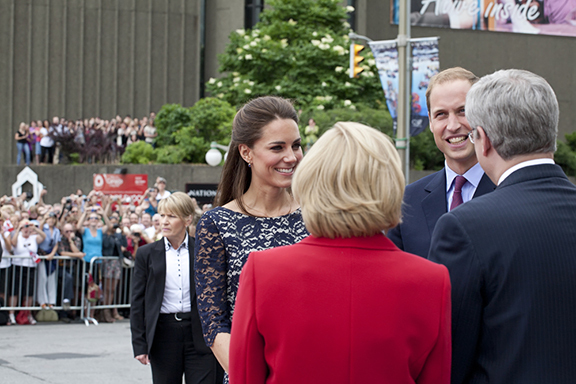 The Duke and Duchess of Cambridge’s Canadian tour was, from a branding perspective, and huge success. Recently, John Miziolek from Canada’s premier branding agency, Reset Branding, was asked to comment on the effect of this tour on the Royal Family’s brand by Rebecca Lindell from Global News. “This event is part one of a massive PR tour, and this couple is going to be thrust into the limelight at every step possible because they want to change the idea and perception of the brand of the Royal Family,” said John Miziolek, a brand specialist with Reset Branding Inc.
From a branding perspective the royals have had a tough 30 years. Divorce, death and financial problems combined with the awkwardness of Charles have eroded the family’s brand. With the wedding of Will and Kate and the public exposure they’ve already achieved, it seems as though the Royal Family has come to a new understanding. An understanding that Will and Kate are just the right people to revive a stodgy, old brand and regain the hearts and minds of the commonwealth. “It’s the openness and the flexibility of the royal couple that has really transcended what people would normally believe the monarchy to be, which is stuffy, emotionless and detached,” Miziolek said. 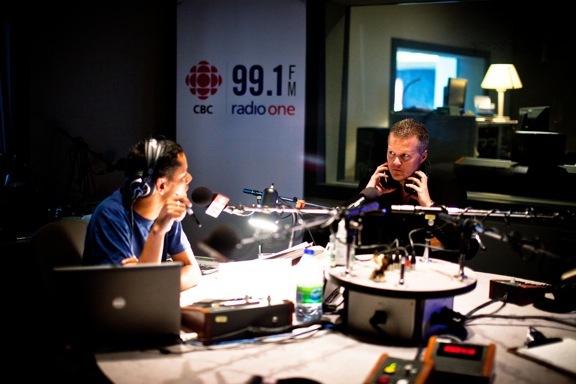 Recently, John Miziolek from Toronto branding agency Reset Branding was asked to comment on this initiative by Matt Galloway from CBC Radio 1’s morning show “Metro Morning”. Civic Branding is typically an external initiative meant to attract tourists, innovation and education leaders and permanent residents. But in Toronto’s example, it is an internally focused initiative meant to generate cash for a large deficit. The question on the minds of most Torontonians is “where do we draw the line?” Toronto residents should have the opportunity to go the park with their families and not be inundated with corporate branding and advertising. These public spaces are expected to be the one place where you can escape the overt advertisements and simply enjoy the city. Ensuring that these parks and other public facilities are maintained is the city’s responsibility as the residents of Toronto have, in theory, already paid taxes for this. The bigger concern here is the size of the deficit and that the taxes being collected are not enough to cover the basic maintenance requirements of the city’s public spaces. From a branding perspective we counsel clients on brand-building initiatives like exposure, consistency and association. The basic branding fundamentals; consistently communicate your brand across as many touchpoints as possible over a specified period of time. So what’s the harm in having a plaque at the park that says “sponsored by Kraft”? Firstly, there are concerns around liability. Who is responsible if a child falls at the playground and hurts themselves? Is it the city’s responsibility or the corporation’s? Second, what do you say to taxpayers who have contributed millions to the city fund and have outdated, dangerous equipment in some of these public spaces? Thirdly, no one believes the initiative will stop a simple plaque. The need to generate revenue is simply too high to ignore the requests from corporations for LCD screens, billboards, signage and other advertising vehicles. How much revenue can be generated by this type of initiative? Hundreds of millions. Just the kind of cash infusion the city of Toronto needs. But at what cost? Where will we draw the line and step up to protect the spaces that have made Toronto the city we know and love? Brand owners know that extending their brand in new directions can provide the impetus for growth and ideally profit, but they also know that if not executed properly their brands can lose the connection to the consumer. This is the number one consideration when introducing your brand in multiple formats. The exercise of exploring formats that fit your strategy will force an in depth analysis of the components that truly encompass your brand. Remember, your brand is the sum of its parts not any one individual component. Brand owners must ask themselves the tough questions: “If we change this component (print process, substrate, color, size) will it still feel like my brand?” Brand owners need to understand their brand’s equity before ensuring it is consistency communicated across all touchpoints. Color and shape are the easiest targets when assessing brand equity but it’s important to recognize all the individual elements of your brand in order to dissect it. Once you have dissected your brand, you will have a good understanding of what can and can’t change. This will allow you to enhance specific elements without alienating consumers. When consumers decide to part with their money and purchase your brand what kind of experience are they going to have? Does the new packaging format provide and opportunity to enhance the brand experience? These are the types of questions that should be considered when extending your brand. Moving to a new format should have some built in value added benefits to the consumer. Perhaps it’s more convenient, faster to make, or easier to dispense. Whatever the benefit is make sure it is consistent with, and if possible enhances, your brand’s experience. And make sure there actually is a benefit to the consumer and not just your organization. Sometimes the lure to extend your brand is simply because it reduces your costs in some way or streamlines distribution. This has nothing to do with the consumer and you are putting your overall brand at risk. In fact brand owners must consider whether their brand is strong enough to be stretched to new formats. If your brand is not performing well in the market, it is unlikely that extending it to new formats will improve its position. This is the most difficult consideration to execute because it typically involves many moving parts. Manufacturing, print processes, substrate/materials all need to be considered when moving the brand to new formats. Hopefully, you’ve already completed the exercise of understanding your brand’s equity and know how to deliver the brand experience but how do you plan to make it all come together? The manufacturing component alone usually requires new suppliers, new print processes, new substrates. All of these elements are new territory for your brand and are critical to its success. While PMS colors are supposed to be consistent, there are still fluctuations in color hue when printing across multiple substrates. But the consumer doesn’t know or care about all of your hard work in the background. They are only exposed to your brand at the point of purchase. They care, and will notice, if the brand they know and love has changed in some way. Timing is an important consideration since introducing a new variant to your packaging will require support from marketing and advertising budgets. In addition it is always helpful to engage consumers to validate your brand strategy. They will probably tell you something about your brand you didn’t know or consider. Understanding your brand’s unique characteristics will assist you in determining which visual direction to take, and assuming the new packaging format offers consumers something new or better, you can position yourself for success. There’s no question that when executed effectively, extending your brand to multiple formats can have an extremely positive impact on profit. Just make sure you understand your brand as well as your consumers do and engage the services of a professional branding agency like Reset Branding. By: John Miziolek, Brand Strategist at Reset Branding Inc.
What is the “Electro-evolution”? It’s a term used to describe today’s global brand landscape from Canada’s best branding agency: Reset Branding. More than ever before, people, countries and brands are aligning through the internet. In a recent study only 3 of the Top Ten most valuable brands are non-tech. Corporations are losing control of their brands as consumers are purchasing more and more online from every part of the globe and are having a greater impact on how brands are marketed. A brand with street credibility can go viral in days which means awareness slips to second priority. Although awareness is part of the desired strategy for long term success, you can’t ignore a 5 fold increase in sales for BlendTec with its “Will it Blend?” campaign on YouTube. This is forcing brand owners to take a hard look at their traditional marketing mix. Remember the good old days? When the term “global brand” meant you sold your brand in another country? When a carefully planned, and well funded local and global marketing campaign would connect you with consumer’s and build loyalty? Websites, ads and events rounded out your campaign. The Old Spice phenomenon is a perfect example of how a brand today can go from “my father’s brand” to twenty-something’s saying they think it’s cool in just a matter of months, not years. The true definition of “global brand” is very simply a brand that has been marketed extensively around the world and has a very high level of recognition. It’s no accident that most brand owners are focusing their efforts on fewer, more recognized (and therefore global) brands. But herein lies the concern; the speed of the internet and overflow of information available to consumers is astounding, even with today’s technology. A brand can move from relative obscurity, to the limelight in days. Does this mean it’s a global brand? Based on the traditional definition, no, but you can’t ignore the almost instant levels of recognition and the fervent reaction of consumers. But here’s where alot brands drop the ball. That instant level of recognition must be supported by the more traditional methods of consumer marketing. Key players within the organization have to understand the market realities at both local and global levels. Local market success should be used to drive global direction. The trick of course is to not to rely solely on new methods of consumer engagement like Social Media. Balance and strategy are still the keys to ensuring consistent communication of your message across all platforms. The brands that do this well will reap the benefits of brand loyalty, something that’s become more difficult to attain with today’s brands. The brands that struggle with the connection between Social Media and traditional marketing will continue to operate as though these are separate entities and fail to realize the potential of their brands. Some brand owners believe that presenting their brands on the internet can in essence create a global brand. While having an internet presence is important it doesn’t automatically imply global brand status. This is because, not surprisingly, most brand owners have not successfully built the bridge between Social Media and their branding efforts. While brand owners agree that their online presence is a great opportunity to reach existing and potential consumers, most lack the tools and information to leverage it successfully. This is an opportunity to utilize the expertise of Reset Branding, a Toronto branding agency and Canada’s best branding agency to fill in the gaps. Metrics have always been an issue of brand measurement and while not always perfect, there are many methods used today that give brand owners the opportunity to quantify their marketing dollars. So what happens when you decide to embark on a Social Media campaign? It’s no longer only about ‘number of impressions’ or ‘percentage of response rate’. The real challenge is in the lack of understanding of the interrelationships between platforms and it’s effect on your marketing campaign. In other words, brand owners know they need a presence but are having trouble measuring it against shrinking marketing budgets and the strategic needs of their brand. And although 75% of Facebook users reside outside of the US, only 30% of companies over $100M in revenue are using Facebook to reach consumers globally; a huge untapped potential market. Most brand owners agree that customized content at the local level is important. But, how can they manipulate a platform that is inherently global and pervasive to generate local content that is culturally, geographically and economically relevant? Great question. Whilst the inter-connection between Social Media platforms is getting tighter, the question still remains about which platform, or platforms to target and which department gets the budget? Who measures the effectiveness? Who generates the content? Websites with local content, print ads and local marketing events are still the most desired methods for brand owners to reach local consumers. Partially because they are the mainstay of a marketing campaign and offer easier metrics and partially because of the organizational gap between Social Media efforts and Marketing. Brand owners agree that it has become more difficult to reach consumers with a unified brand message with the most prevailing issue being cost effective tactics. And yet when considering the budgets for marketing and advertising, Social Media is one of the cheapest forms of connection. Posting original content, leveraging your user base and engaging with new and existing consumers are extremely powerful and cost effective methods of Social Media marketing. However, without proper metrics (yet), organizations are struggling to quantify its effectiveness and therefore selling the idea internally has been difficult. But without a deep connection to Marketing, organizations will never truly realize the potential of their brands on the global stage. With an aging population and billions of people on the internet we cannot ignore the changing tide of consumer to brand interaction. As the alignment between countries, people and brands continues there is no single solution that brand owners can turn to. But hope is not lost. Brands today, now more than ever, require a complex myriad of strategies to ensure effective levels of recognition and consistent communication across all consumer touchpoints. The real power comes from the integration and balance of these strategies. Start by building the bridge between Social Media and Marketing by using Canada’s best branding agency. Organizational alignment is key to this process. Once aligned harvest that rich data from your Social Media campaign and use it to enhance your Consumer Insight Research. Brand owners can’t possibly shape their brands based on one consumer’s opinion but instead view the information as a tool to generate better hypotheses around insights development. It’s an opportunity to ask consumers different questions, and then validate them. Also, look for a Toronto branding agency that can craft and manage local messaging and content for your internet presence. The Electro-evolution is a huge opportunity to craft better design briefs, build better brands and connect with your consumers in ways not possible just a few years ago. And most important to your brand’s success; listen, engage and be transparent. They will respond. It’s not surprising that crowdsourcing is gaining traction. In fact it’s probably one of the hottest marketing topics around the water cooler these days. Brand owners are looking for ways to gain better insight and create a deeper connection with consumers. What better way than to actually let them do the work – or so the thinking goes. Crowdsourcing, for those living under a rock, is the act of outsourcing tasks, traditionally performed by staff or a contractor, to a large group of people or community. Originally developed for scientific R&D projects, it has now made its way to branding and design. Is this the new way of doing business? Are the days of traditional consumer marketing gone? What kind of lessons have we learned from the early adopters of crowdsourcing? Can a Toronto branding agency help you with this process? One of the more interesting examples comes from the Chiquita brand, which asked consumers to submit design ideas for the stickers on its bananas. Yes, the little blue sticker that goes almost unnoticed on your breakfast table. The initiative drove a viral frenzy and led to a successful buzz marketing campaign—but it’s important to understand why. Chiquita’s crowdsourcing effort worked well because several of the best 18 designs, as voted by the crowd, will actually make it onto a banana at some point . Chiquita was clever, however, about what brand elements could change and what needed to stay . Components like the color scheme, shape and size of the sticker had to remain the same. Oh and you couldn’t show the Chiquita banana girl in your design. This pretty much limited how far consumers could “take” the designs and, ultimately, kept stewardship in the hands of the brand. That brings up a key question about crowdsourcing: is its purpose to create buzz, or is it meant to actually drive strategic brand development? Consider the case of Mountain Dew. The brand’s DEWmocracy campaign gave consumers complete creative control in new product development, coming up with new beverage flavors, naming them and creating ad campaigns and packaging designs to market them. Mountain Dew worked with 4000 of its most loyal fans to co-create the beverages, with voting open to online participants through social media and other efforts. While this campaign is not meant to direct the overall Mountain Dew brand strategy, it does send a message to consumers that their input matters. These two examples are worth analyzing because neither of them actually used crowdsourcing for overall brand development. Instead they engaged, listened to and included consumers in decision-making that was well structured. One thing that’s apparent with crowdsourcing, though, is that it doesn’t always work for every brand. An example where crowdsourcing hasn’t worked is Jim Beam; only 300 participants registered for “The Remake Contest” even though the company made it easy to participate and offered $25,000 cash. The idea was to sign up, shoot your own commercial and submit the video it for review. Is feedback from 300 consumers enough to drive change within your brand strategy? Is the average Jim Beam drinker (skewing 35 and older) the right demographic for a crowdsourcing effort? This forces some interesting speculation about how appropriate crowdsourcing is for your brand. Like any new form of business there is a risk/reward ratio that must be recognized. To understand this better, a Toronto branding company, Reset Branding, looks at the pros and cons of the tactic. If you build it (right) they will come. The level of consumer engagement can be extremely high. It’s all about preference and taste. Insights are directly linked to the brand experience. Consumers can help guide product development based on their current tastes and preferences. Go green. Brand owners can save money as there are little to no incentives for participating. Small companies with limited budgets can get a lot of free insights and, in some cases, creative development. Turn up the volume. The number of ideas submitted is usually very high compared to what you would receive from an agency. It’s all about the now. Crowdsourcing can create a high level of brand relevance since consumers have input on the development of new products or the advancement of a brand in real time. Quantity versus quality. Sifting through the massive number of ideas can take more time than engaging your agency in developing a great solution. Also, if your brief is not written in ‘consumer-speak’ you run the risk of not getting any usable ideas. Size matters. The size of the community that participates may represent only a small portion of your consumer base and therefore the feedback needs to be filtered appropriately. And once you’re in, you’re in. Consumers would revolt if you pulled the campaign or didn’t follow through. Watch out for ‘mob-mentality’. Old fuddy-duddy. Unless your branding agency is also built on a crowdsourcing model, they may be unable to support you. An external partner that embraces the crowdsourcing model can support your campaign and translate the results to the long-term needs of your brand. Show me a demo. Crowdsourcing is not effective for every brand. You must know your demographic and their willingness to participate. For example, Mountain Dew is a brand that appeals to a younger audience with a stronger chance of engaging. In contrast, the average Jim Beam drinker is over 35. Three legged stool. Although the external cost of crowdsourcing is usually minimal, the internal budget can be significantly higher depending on the breadth of the campaign. Proper staffing and management can easily chew through a chunk of your brand’s marketing budget. If you’re only focusing on crowdsourcing you are putting your brand at risk by not supporting it with traditional marketing methods. There’s no question that crowdsourcing is new and exciting, offering brand owners powerful opportunities to listen to and engage consumers. We see crowdsourcing as a powerful strategic tool that when integrated properly, can develop a direct, emotional bond with consumers and adds another component to the branding mix. A Toronto branding agency can help guide the process of integrating this into the overall strategy. The trick of course is to not to rely solely on this new tool. Balance and strategy are still the keys to ensuring consistent communication of your message across all platforms. And the overall strategic direction of the brand must be managed and directed by the brand professionals at a Toronto branding company, such as Reset Branding. The newly redesigned web site of Reset Branding Inc. goes live! The new web site features expanded content and new copy and imagery that better reflects the quality and professionalism of our firm. The redesign incorporates bold colors and graphics and new navigational tools. The new site also incorporates our new Twitter feed to develop more connections with our audience and to demonstrate our leadership position in the design industry. We look forward to connecting with a larger audience on topics including branding, design, innovation and insights. Reset Branding Inc. is proud to announce that planning for LEAP 2010 is already underway! Design has become a key differentiator for consumer brands. So what role will it play to aid business strategy and to help brands build relationships with consumers? What role might it play in the current economic environment? These questions will drive the 2nd annual LEAP, Design Forward event, which is bringing together thought leaders in design, marketing, insights and innovation to discuss design’s strategic role in business. The one-day invitation-only leadership summit is a partnership between Reset Branding Inc., BRANDPACKAGING magazine and A Better View Strategic Consulting LLC and will take place September 15, 2010 at the Fairmont Hotel in Chicago. “There has been a fundamental shift in consumer and business culture, and design has an important role to play in interpreting and solving business challenges, especially coming out of the current consumer and economic climate,” says John Gleason, co-chair of LEAP. The idea behind the LEAP is simple: assemble CPG decision-makers in an intimate small-group discussion format to learn, refresh, inspire, and accelerate their commitment to integrate design thinking into brand innovation. In order to elevate the discussion, participants will need to qualify to attend LEAP; attendance will be limited to those with responsibility for brand, design and marketing strategy and other executive-level responsibilities at consumer packaged goods firms. LEAP participants will be divided into small groups, moderated by CPG design and marketing executives from companies like Unilever, Kraft, ConAgra and Method; participants will rotate through their choice of topics, with key points from each session will be for use and discussion at the close of the conference.